It sounded bad, so before going out to look, I made coffee and got dressed. 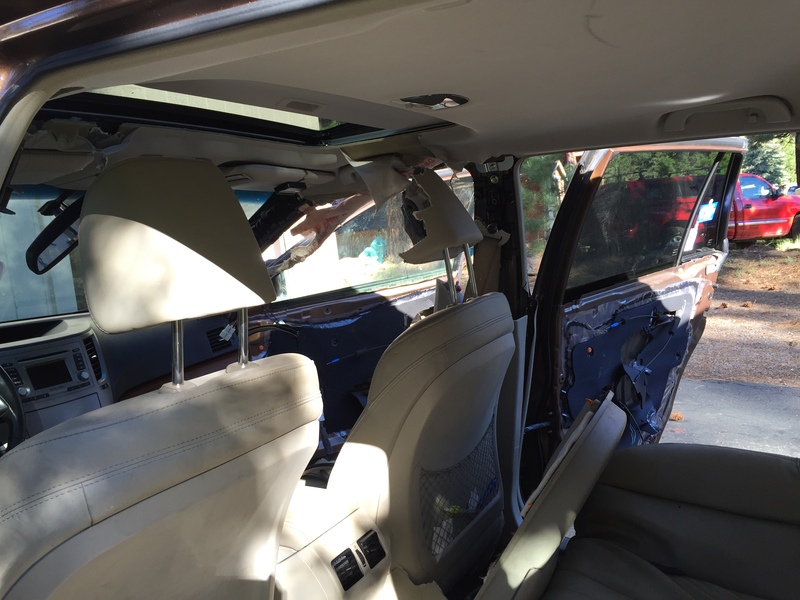 There was no food in the car… I left the doors unlocked (all the time). I’d once heard that it was best to leave doors unlocked in bear country, because if a bear wants in, it will get in, causing further damage. I didn’t get the memo about also leaving a window unrolled so they could get out, once they get in, and become trapped. backseat totally trashed as well. My neighbor, Jason, came over to chat while I was assessing the damage. He told me the full story- he and Stacey woke up due to my car horn honking repeatedly, around 2am. Jason came out, thinking there was a burglar (in Truckee! 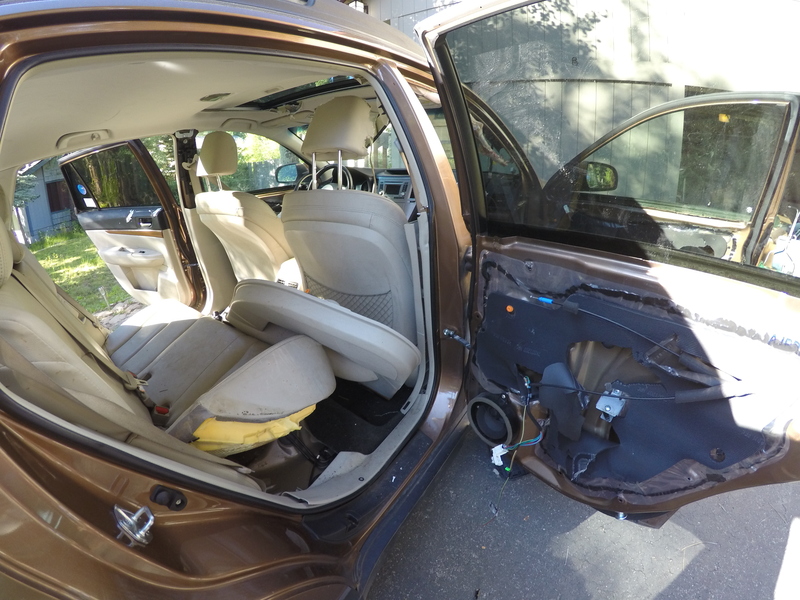 ), but he saw the bear in the car, trapped. 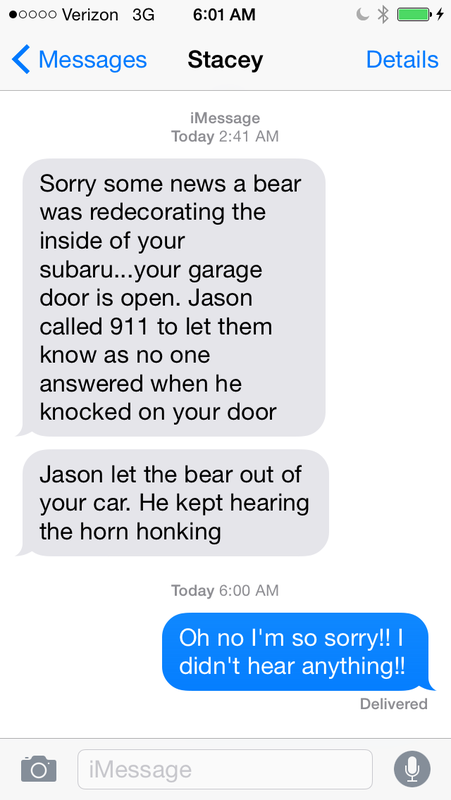 The smart bear turned on the hazard lights, continued honking the horn, and even used the remote garage door opener – none of this raucous, or even Jason pounding on my front door and yelling to me, woke me or Avian up. 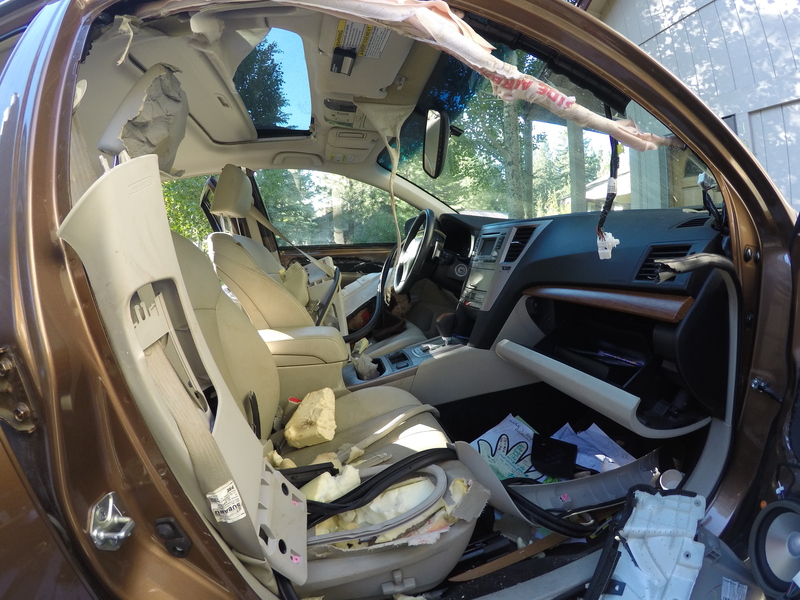 Jason called 911 – I don’t know if they ever came or not – and after about 8 minutes of watching the bear destroy the car, he came up with the idea to wait until the bear was in the trunk area, then open the front passenger door, and “sprint like a cartoon character” back to his yard. Jason (not a runner) succeeded- by the time he reached his truck (about 50 feet away) and climbed on top of it, the bear got out of the car, and, after pausing in the driveway briefly “What the hell just happened to me?”, ran off. I met with the insurance adjuster the following week. 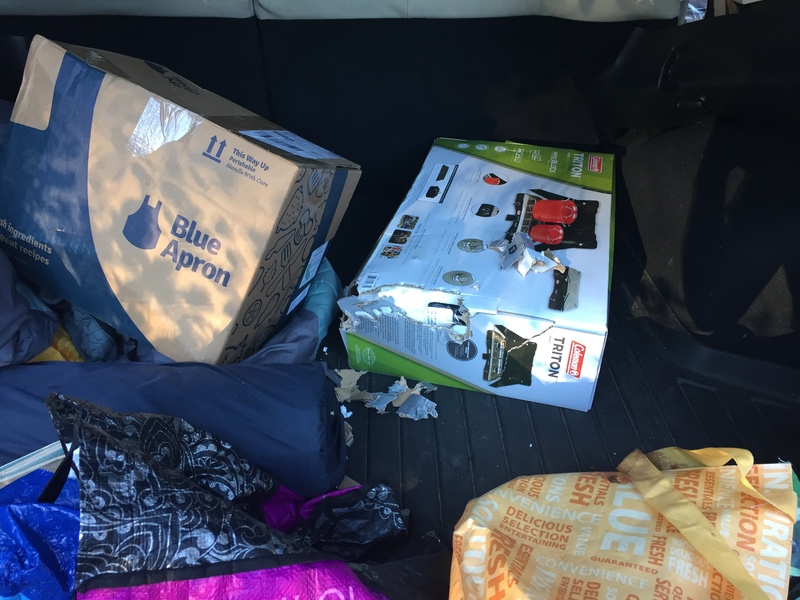 She told me it looked like it would be a total loss – her rough estimate was over $14,000 in damages. A week later, I was notified that her final estimate was $6,500. What?! 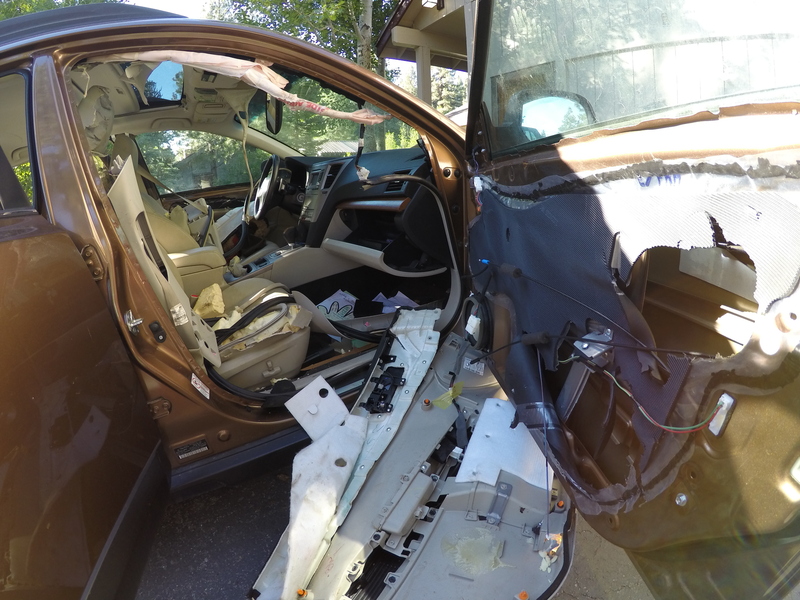 Another week later, same insurance adjuster quit her job… makes me wonder if she set up the insurance company for failure on this claim? The car really should have been totaled. 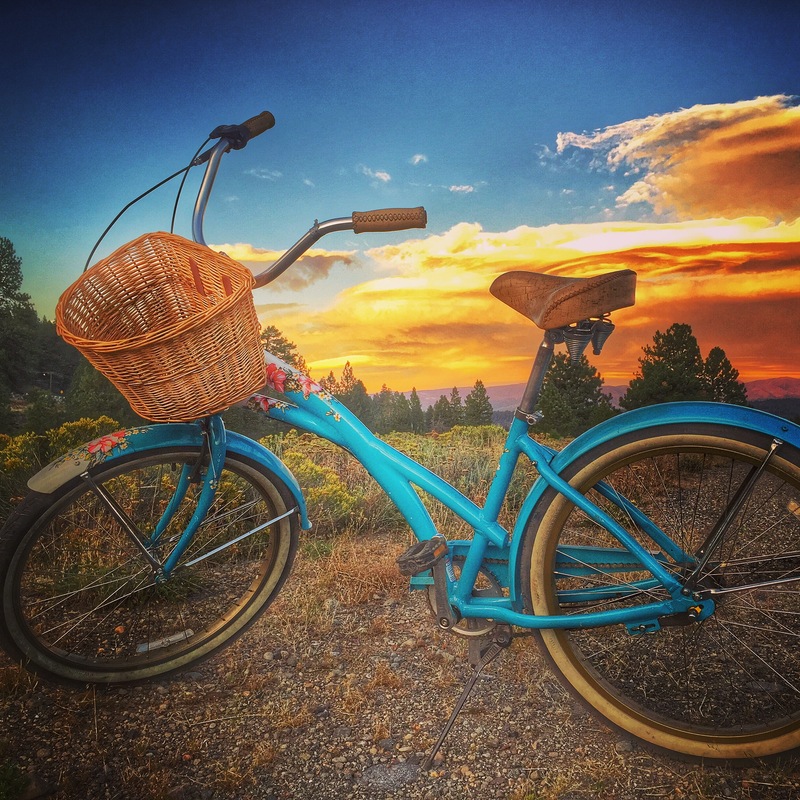 Throughout the summer, I was able to borrow various cars for the weeks that I had the kids, and ride my bike, run, or walk to work the weeks I didn’t have cars. I had many memorable experiences as a result. On one fun occasion, I had pink eye in both eyes (which really flared up after an incredible run the day before), and was waiting for a prescription to fill, so I just quickly went to a car wash (in my pajamas) to take care of the borrowed car (a friend of a friend’s car, who didn’t actually know I was using his car). 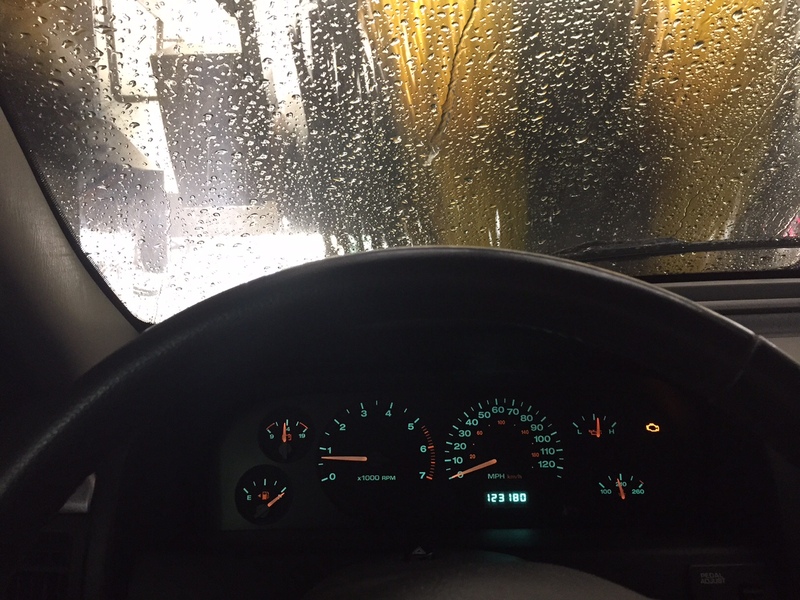 The car wash malfunctioned, with me stuck inside (in my pajamas). 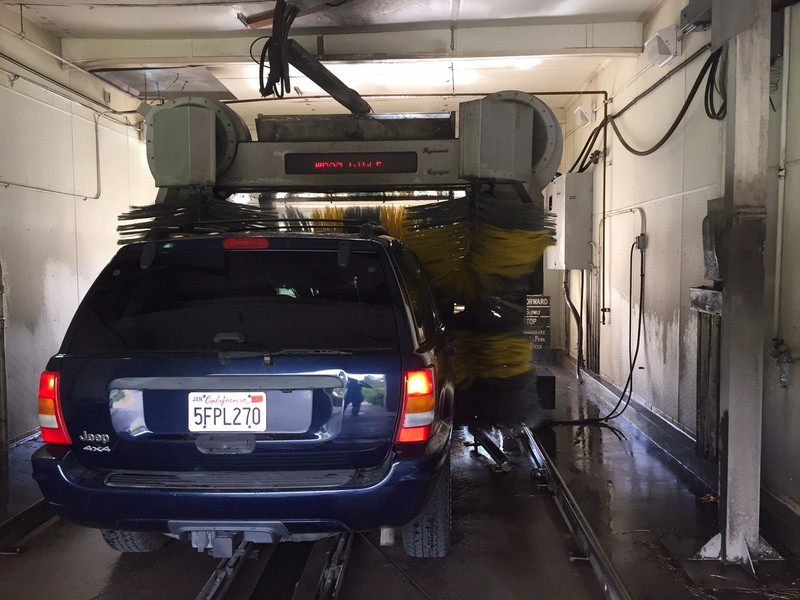 I called the business, they didn’t know what to do, so eventually I crawled out the back hatch (car was still running) and had to wait for a maintenance person to show up. Fortunately the borrowed car was not damaged. 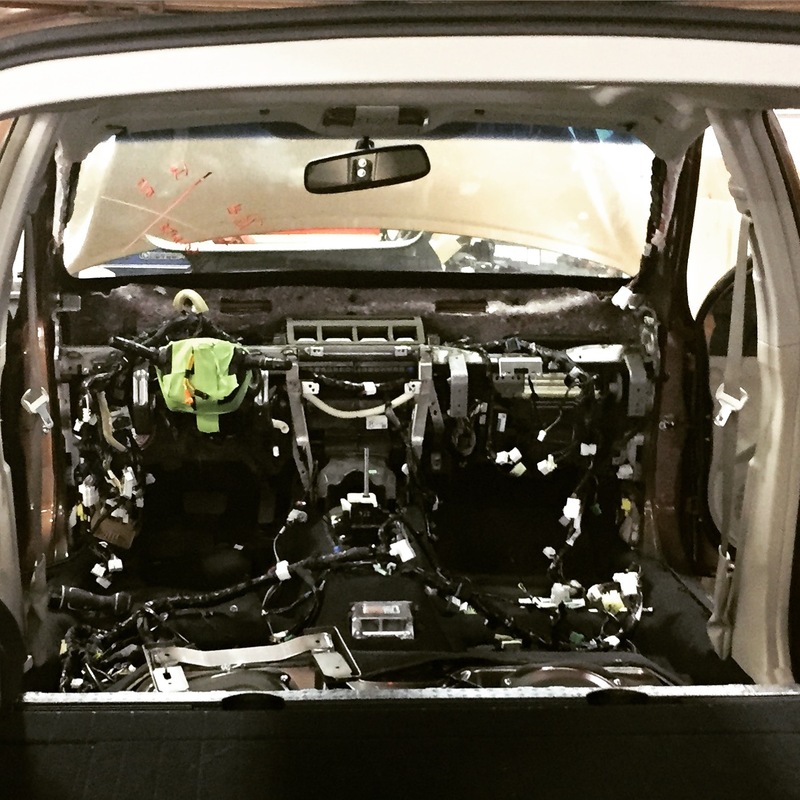 The car is still not finished, well, they thought it was finished, but I just went to look at it (with a tray of cookies for Larry), and it still needs a new dash, new center console, new seatbelts, floormats, etc… The running tab for repairs is now over $19,000. At least I have a great bike and a free loaner car.